Cream butter, shortening, and sugar; add eggs, molasses, then dry ingredients. Allow to stand in refrigerator for two days, to allow spice to go through. Roll out on floured board and cut with fancy Christmas cutters. Bake on cookie sheets in hot oven until golden brown, about 10 minutes. Place in air-tight containers until ready to serve. Yields several hundred. 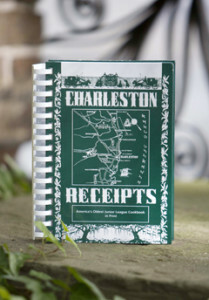 More "Lost" Recipes from "Charleston Receipts"